Located on the scenic Theotokopoulou Street, in Chania, Palazzo Hotel is housed in an old mansion just 50 metres from the sea. It offers traditional rooms with wooden floors and ceilings, and has a furnished rooftop terrace. Situated in the Old Town of Chania, the traditionally built Idramon is 50 metres from the Venetian Port and 1 km from the sandy beach of Nea Chora. It features romantic-style rooms with free Wi-Fi and views over the scenic town. Featuring a restaurant and a pool with sun terrace amidst its palm-tree garden, Royal Sun lies within 3 km from the centre of Chania Town. 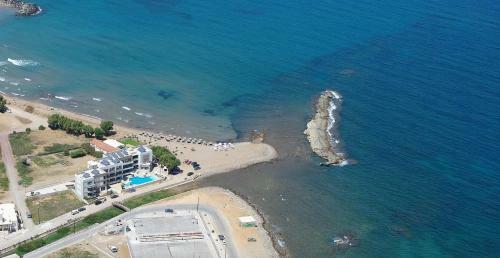 Tropicana Beach Hotel is located directly on the sandy beach of Kato Stalos in Chania. The hotel offers spacious rooms, free Wi-Fi terminal, a restaurant, a bar and friendly service. Decorated with antique furniture, Casa Leone overlooks the Venetian harbour and the 15th-century Faros Light House in Chania. It offers a waterfront terrace and fully air conditioned guest accommodations. Situated 200 metres from the seaside area of Agia Marina, Minerva Dore offers accommodation with a kitchenette. It includes a swimming pool, a separate children�s pool and a restaurant. 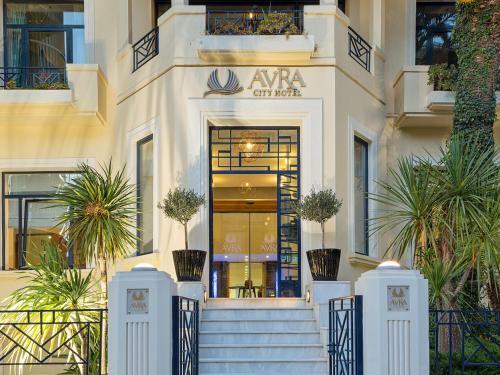 Avra City is in the centre of Chania Town, next to the Municipal Market and overlooking the Municipal Gardens. 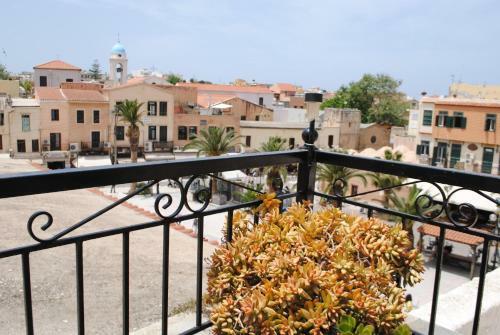 The hotel lies within a 5-minute walk from Chania Old Town. Situated 30 metres from the sea, Giorgi�s Blue Apartments offer self-catering accommodation with satellite TV and free Wi-Fi. The property features a swimming pool and a children�s pool. Located 600 metres from the sandy beach of Nea Chora in Chania, Irene Maisonettes offers rooms with 2 LCD TV sets and a microwave. Wi-Fi is available throughout the hotel. Located in scenic Exopoli, 3 km from the beaches of Georgioupoli, family-run Marika Apartments features self-catered accommodation with views of the White Mountains or the Cretan Sea. Guests enjoy a swimming pool and free Wi-Fi. 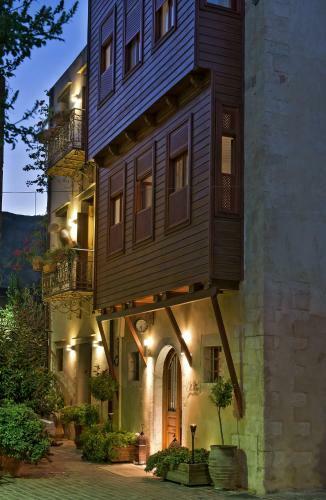 Vilelmine is situated right at the heart of Chania�s Old Town. It offers luxurious rooms, all with satellite TV, free internet access and view over the Metropolitan Church and the scenic Betolo Street. Rodon Hotel enjoys a beautiful location amongst the olive trees in the suburbs of Chania, with stunning views of the White Mountains and the sea from its spacious terrace. 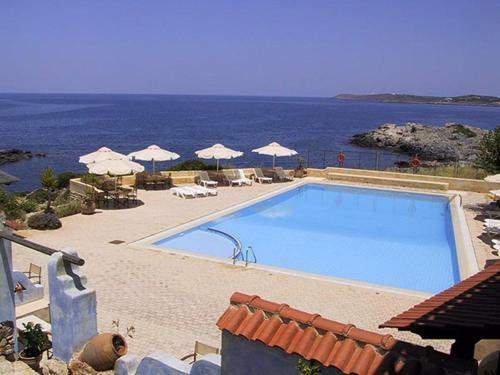 This family-run hotel can be found just 2.5 km from Chania�s centre. 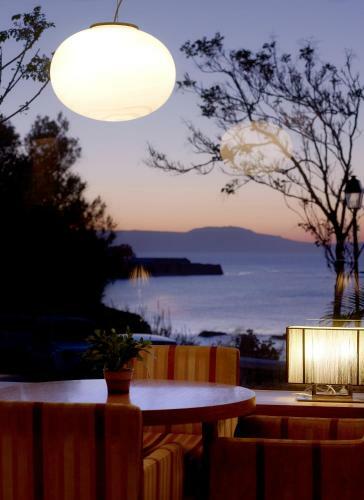 Beautifully situated in Kissamos, west of the city of Chania, this hotel features architecture and interiors which are designed to meet the needs of the contemporary Greek and foreign visitor. 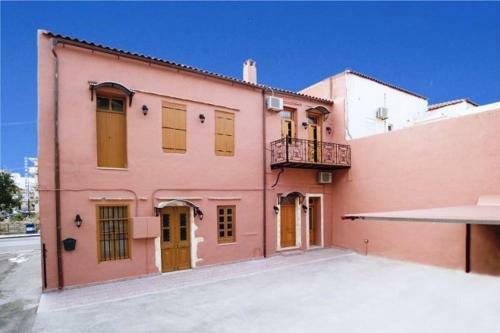 Conveniently located in the heart of old Chania Town, within walking distance of the harbour, this restored Venetian townhouse offers a charming base with free WiFi in its shared lounge. 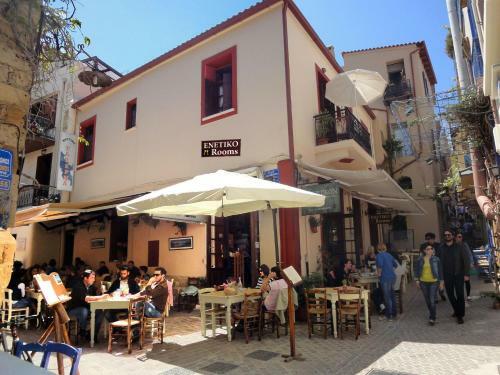 Just 50 metres from the Venetian Port, in the Old Town of Chania, Enetiko Rooms features a Cretan restaurant and a caf�. It offers air-conditioned rooms with free Wi-Fi. An LCD TV, fridge and coffee maker are included in all rooms at the Enetiko. 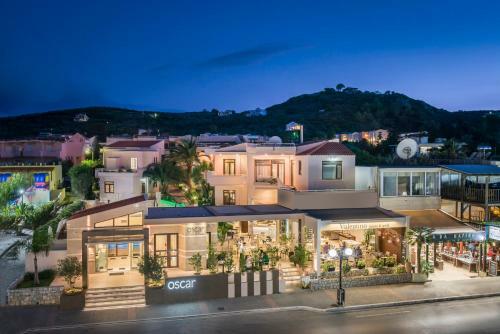 Just a few minutes� walk from Agia Marina Beach, Oscar Suites is set amidst flowery gardens and includes 2 swimming pools, an Italian bar-restaurant and a fitness room. It offers studios and apartments with free Wi-Fi and private balcony. Porto Alegre is 5 km from the town of Chania. The beachfront resort features 2 pools, including one for children, and a playground. Free Wi-Fi is provided in the lobby. Located in Agia Marina area, Canea Mare Hotel And Apartments offers accommodation with balcony or patio within 50 metres from the beach. Featuring a swimming pool with sun terrace and 2 bars, the property's public areas enjoy free Wi-Fi access. Surrounded by a charming garden, Villa Andromeda offers self-contained suites, and a shared veranda with panoramic views of the Cretan Sea. The pool offers a sun-lounger terrace. Irida Hotel is situated near the cosmopolitan Koum Kapi area, on the promenade leading to Chania's centre and overlooks the sea. It has free Wi-Fi access and offers buffet breakfast and private parking. Lying on the golden sandy beach of Platanias, Indigo Mare offers a swimming pool with an elegant restaurant-pool bar, a mini market and self-catering studios and apartments with private balconies. Guests also enjoy access to a private beach area. 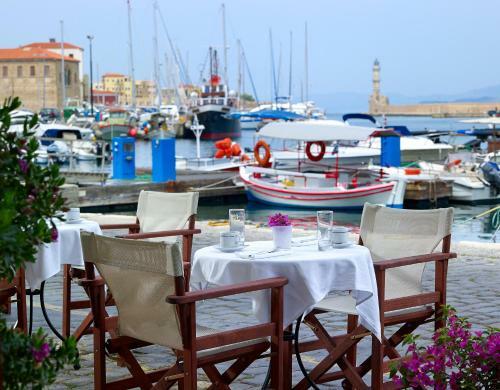 Set in a listed Venetian building, Boutique Hotel Fortino enjoys a quiet and scenic location on a pedestrian street in Chania�s Venetian Port. Wi-Fi is free in the entire hotel, while free public parking is available at 20 metres. 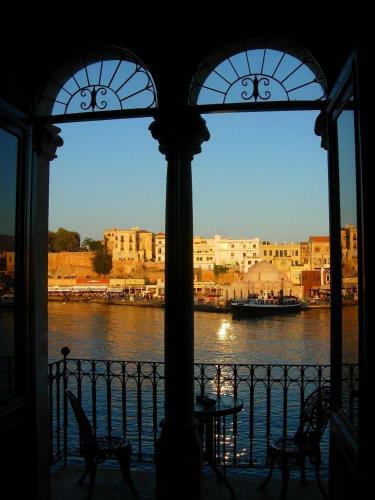 Porto Veneziano Hotel enjoys a privileged location on the waterfront of Chania's Old Venetian harbour. Fitted with environmentally friendly cooling systems throughout, it offers panoramic views and accommodation in a minimal navy design. 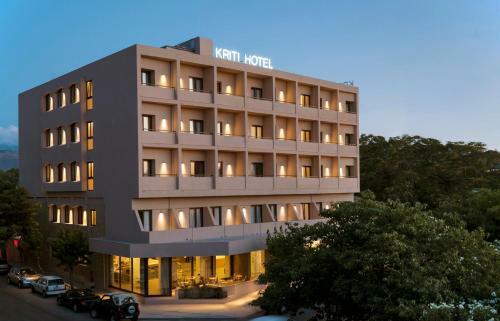 Hotel Kriti is centrally located in Chania, at the meeting point of the famous old Venetian harbour and the commercial centre of the city. It has elegant rooms with free Wi-Fi, air conditioning and private balcony. 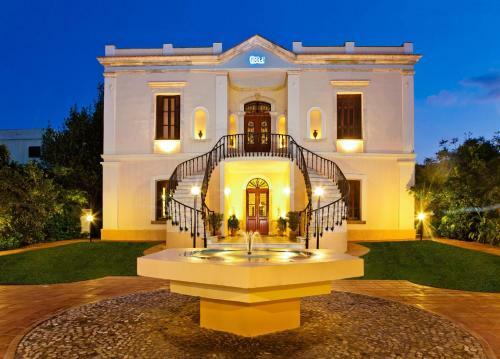 Ionas Hotel is a carefully restored historical home, located in the heart of the Old Town of Chania. 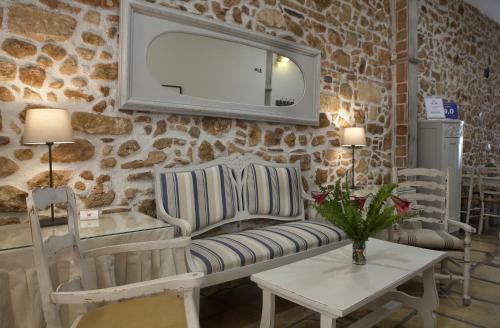 Ionas is a perfect base for guests wishing to explore authentic Chania. Conveniently located just minutes from the centre of Chania, this relaxing haven is nestled in the Halepa district. 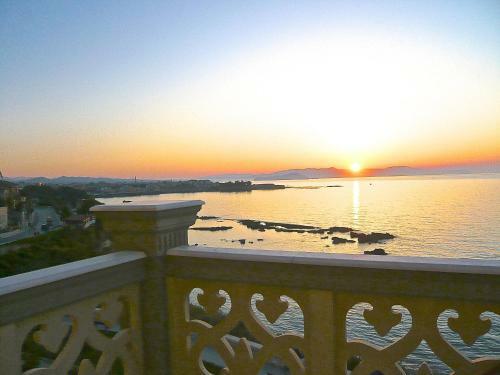 This central Chania hotel is just 200 metres from the Old Town walls and the Venetian harbour. It offers Cretan hospitality, air-conditioned and soundproof rooms and a limited capacity underground parking.